Ladies, we put a lot of pressure on ourselves to look good. So much so that we seek out articles titled, “Girls Love But Guys Hate” and “Worst Trends”. With these posts we quadruple check that our fashion choices are making the cut and that our self conscious body image stays in check. Well, this time ladies, you can relax. This one is on the fellas. It’s time they sweat it a little when it comes to their wardrobe. 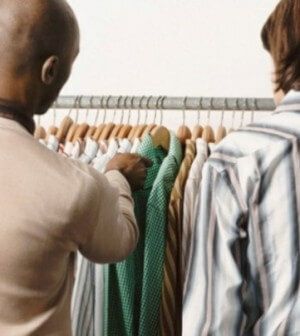 Here is our list of the worst fashion offences guys make! Brace yourselves, these are bad! 1. 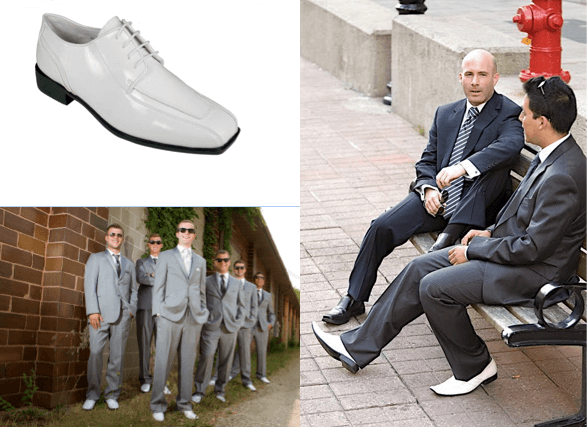 White dress shoes. Where to even begin. Guys, these are AWFUL. They were tacky in 2006 and they’re still tacky now. 2. ANY of the following footwear. 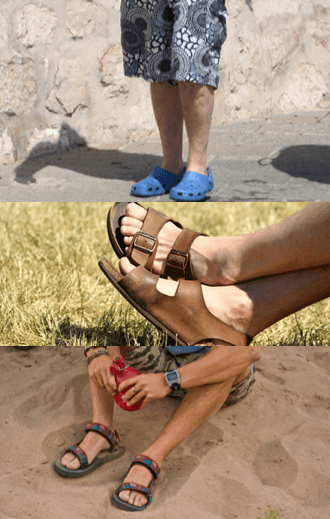 Berkenstocks, Crocs or “hiking sandals”. All three make us gag. These shoes are the biggest turn offs and scream ‘my clothes were bought for me by my mom’. No one is thinking you look “hippie” cool and that you must be super into the environment. We’re thinking ‘How long has he had those, his feet look filthy in them’. 3. The super low V neck. This one should be self explanatory. 4. Camouflage. ANYTHING in camouflage is a major no. If you aren’t in the army, you don’t need it. Especially if you live in the city. What surroundings do you think you are blending in with? You’re standing next to a Starbucks, no one is suddenly thinking ‘hey, where’d that guy go? His hunting prowess is so impressive’. 5. Pull your pants up. I can’t believe in 2014 this needs to still be said, but here we are. No one needs to see your tush or watch you slowly develop spinal problems from walking in that ridiculous side step trying to keep them up. On the fashion and functionality scale, these fail miserably. 6. Sunglasses in doors. Newsflash, you aren’t at risk of UV Ray damage once you’re inside. Take your Ray-Ban’s off. We get it, you bought some expensive designer glasses that GQ said were timeless. You still don’t need them on indoors. 7. These “hair designs” have to stop. They’re gag inducing. I don’t know any girl who wants to date a guy who has clearly spent more time on his hair than she has on hers. 8. Anything that is bejewelled, bedazzled or rhinestoned. Again, this should really be self explanatory. 9. Perfectly propped fedora hats. Wear a hat if you want, but don’t spend 45 minutes looking in the mirror tilting it “just so” on your head. 10. 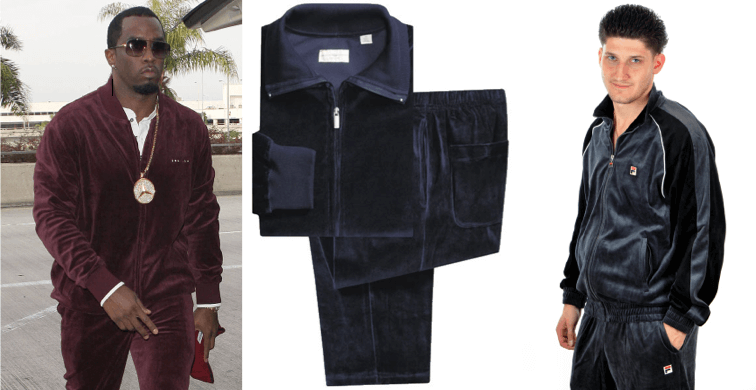 Anything in velour. This is just another universal rule. If it’s made of velour, throw it out.